GMAT score is enough or you need to re-take! It is very important to understand that the GMAT score is just one part of the business school application. If you do choose to retest, then you should post back here and we can talk about how best to proceed. Even though one could get into ISB with a score lower than 660, but one has to have an exceptional profile for that. The mid 80 percent range of their GMAT score is 670 - 750. So at scores lower than 670, they are making an exception for the candidate because of an outstanding profile and/or diversity they are hoping to bring in their class. Hi. 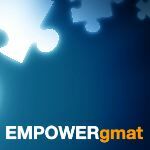 Before 6 months I gave GMAT official prep 1 and I got 550. After preparing for 6 months yesterday I gave Prep 2 and I got 640 (Q49 & V27). I am aiming for 720 score. Should I give the GMAT exam or I should give more time for preparation? It is very unlikely that with a score of 640 on prep test, you will get 720 in the actual test. I would suggest you to take some more time for prep and work specifically on Verbal. Once you start getting about 750 in the prep test, you would be more prepared for your target score. Thanks Karishma for your reply. But I am confused about verbal. I have read all the manhattan books of verbal. How to increase my verbal score? Can you give me suggestion. "Reading" a book will not add value, especially not in Verbal. You need to understand how to approach various questions and then practice the strategies discussed. What works for one, may not work for another. So, a lot of experimentation could be required before you hit what works for you. Understand the basics, practice our questions and then work on the official questions from OG and Prep tests. I am an Indian , Engineer with 8 years of work experience in Energy sector .. I am planning to apply for IIM Indore and IIM Lucknow one year executive MBA. I had words with admission consultant of both the college and both said that my score is competitive in term of my experience and profile. I am confused whether I should apply or not because I Ave heard that generally these people give generic replys only ..
Kindly guide me.. should I retake the GMAT and then apply or should I continue with this..
660 is descent score. go ahead and apply . I know few candidates who has been accepted by ISB at 610. I am in desperate need of advice..
ISB is generally very flexible with the GMAT. I have seen people with a GMAT score of 630 have made it to ISB. The admissions depend upon your overall profile including your work exp, your essays and recommendation letters. However if you feel you can exceed your current score, it would benefit you to give it another try. The competition is pretty tough and you would be in a stronger position if you can exceed your current score. I have a gmat score of 660. I completed my Bachelor's from NIT Calicut and my Master's from IIT Madras. I also have above 8 CGPA for Bachelor's and Master's.I have experience of 5 years from 2 Multinational Aerospace companies. I would like to know about a few of the best colleges where I can apply for an MBA with this profile. Profile specific advice is best given by the admission consultants. You can take a look at various factors that make a business school right fit for you and also the average score that top business schools look for. 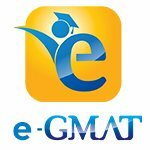 If you need further help, feel free to contact us at support@e-gmat.com. Since you are asking an admissions-based question, you may find it helpful to reach out to one of the many admissions consultants here on GMAT Club to get some expert advice. Feel free to reach back out with any further questions. Good luck!